Are You At Risk Of Bruxism? Do you grind, gnash, or clench your teeth unconsciously throughout the day and at night? Then you may suffer from bruxism. Bruxism can affect children and adults well into their senior years. Although scientists and doctors do not know the exact cause, there are several factors that seem to contribute to the disease. 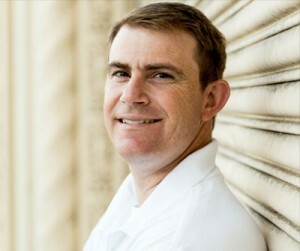 Dr. Michael Larson of Yuba City Orthodontics can help you if you are dealing with bruxism. Experts say that as many as three out of ten kids grind their teeth or clench their jaws. One reason for this is that they are responding to oral pain and are seeking relief. Earache and teething are the most likely culprits. In other cases, the grinding is brought on by stress, such as problems at home, worries about school or conflicts with friends and classmates. Other possible causes include hyperactivity, other medical conditions and even medications the child is taking. Most times, children outgrow Bruxism by the time they reach their teen years. In a 2008 study, researchers found that teens with psychosocial disorders, including thought disorders, conduct disorders, and antisocial disorders were at a much higher risk of Bruxism. In fact, teens with Bruxism were sixteen times more likely to suffer from one or more of these disorders than teens without Bruxism. Pressure to fit in, troubles at school, and other social factors may also play a part since they add to the stresses that teens are under. This stress may manifest itself in teeth grinding both during the day and at night. Adults face a plethora of stresses including family, relationship, and career pressures. Tooth grinding and jaw clenching are often a response to these stresses. Although the condition can affect anyone, it is most common in adults between the ages of 25 and 44. Women aged 27-40 years old are the most likely among this group to have Bruxism. Chronic stress, anxiety, and a competitive or aggressive personality are often cited as triggers for the condition. Also, adults that use tobacco, drink caffeinated or alcoholic beverages, and those that use anti-depressant drugs are at a higher risk. Although fewer elderly adults suffer from bruxism, it is not unheard of. Those with sleep problems, such as snoring, sleep apnea, and insomnia are at risk of developing the condition. It’s also believed to be caused by several other age-related diseases and disorders. Among them, Alzheimer’s, Lewy body dementia, stroke, Parkinson’s disease and Huntington’s disease are potential causes. Additionally, there are many medications, such as antidepressants, that can cause the problem. Although there is no known cure for Bruxism, the damage caused by continued tooth grinding and jaw clenching can be mitigated. The most common treatment is a night-time dental guard which helps to protect the teeth from damage. Additionally, stress management, medication changes and eliminating alcohol, caffeine and tobacco products can also reduce the risk of Bruxism. If you have the suspicion that you might be grinding your teeth, compare your symptoms with our list of some of the most common symptoms of teeth grinding and don’t wait to protect your teeth. If you are experiencing symptoms of bruxism, you should contact Dr. Michael Larson and his team at Yuba City Orthodontics. Dr. Larson has undergone specialized training so that he can formulate the right treatment for each patient. How Do Rubber Bands Work in Orthodontics? A commonly used tool by orthodontists to straighten teeth are rubber bands, which are sometimes called orthodontic elastics. Braces are attached to the teeth to move them by the wires going from one tooth to another. Aligners, such as Invisalign, use clear plastic shells that snap across and over the teeth to produce force. While aligners and braces can both align the lower and upper teeth separately, they both need something to connect them between the arches and to correct the bite problem. There are several reasons we use elastics with braces. They are flexible allowing full motion, and they are easy to remove and replace. Most importantly, they are useful in correcting a variety of orthodontics problems, such as crossbites, overbites, underbites, and open bites. Moreover, last but not least, they are much more cost-effective than headgear or springs. While there are more advantages than disadvantages to using rubber bands for correcting a bite, you need to understand that the rubber bands are dependent upon patient cooperation. If they aren’t worn properly or as described, they aren’t going to do their job. There has to be constant pressure on teeth most of the day for teeth to move into the desired location. Patients who only remove rubber bands only to eat or brush are going to see faster, more consistent results. To get the best results, follow the prescribing instructions. Rubber bands work great when they are used for the right patients. They can have potential side effects, such a moving the bottom teeth forward. This can result if you don’t have enough bone to allow the teeth to move in that direction. Undesirable movements can happen along with desirable ones, so you need to choose an orthodontist who has advanced specialty training to ensure your simple problem doesn’t become more complicated. If you are experiencing orthodontic issues, you should contact Dr. Michael Larson and his team at Yuba City Orthodontics. Dr. Larson has undergone specialized training so that he can formulate the right treatment for each patient. Another vital part of your post-operative care is to be alert to any signs of infection. Indicators of infection include fevers, excessive bleeding, severe gum discoloration, and abnormal surgical site irritation. If any of these occur, you should see your dentist as soon as possible. Understandably, you may be concerned about the timeframe of your recovery. However, by following the direction of your dentist and avoiding setbacks, you can shorten your recovery time. At Yuba City Orthodontics, we schedule a regular post-operative checkup with our patients to make sure that the surgical site is healing properly. 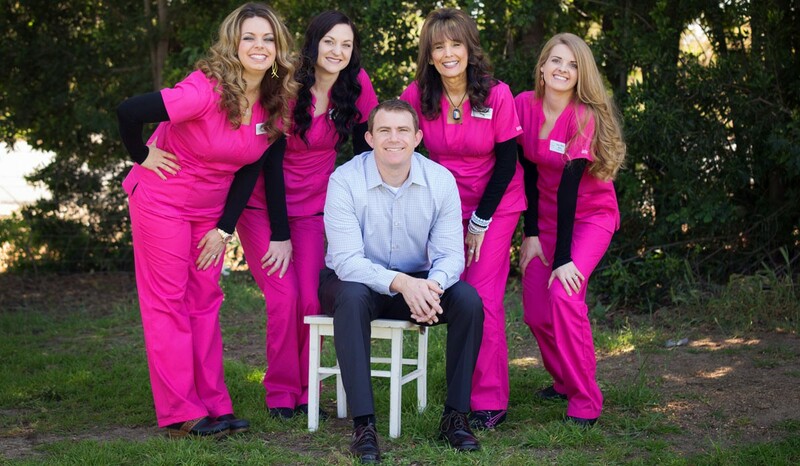 Michael Larson and his team at Yuba City Orthodontics will help you to recover as quickly and comfortably as possible. The internet is full of useful information. However, it does have advice and products that are quite outrageous. For instance, all medical advice found on the internet is not from a respected source. Even if the advice works well for one person, it may be detrimental to another’s health. The same is true of dental advice and products. Yuba City Orthodontics take a patient’s health and well-being seriously. We advise everyone to get the opinion of a trained dental professional before opting for any dental treatment to move your teeth. If you have immediate questions about such procedures, call us at (530) 674-5047. No Oral Health Screening: Before you get orthodontal treatment from a professional, they will give you a comprehensive dental exam. This exam shows the level of your oral health. Some orthodontal treatments can make current dental issues worse. No orthodontist would in good faith approve an alignment treatment while a patient is dealing with a cavity, gingivitis, or other major Even aligner manufacturers state that the orthodontist will need to determine if you are a good candidate for their products. 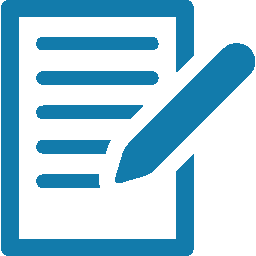 No Patient Information: At an orthodontist office, information is gathered about your medical and dental health. X-rays are taken, digital pictures of your mouth, teeth, and jaw are stored. All of this data plays a role in presenting you with the best treatment possible. Teeth are harder than bone, and they are rooted in your jawbone. Moving them requires insightful planning and care. Would you allow someone to move a bone in your body without proof that they are a doctor or without looking at an x-ray? The risks of using at-home orthodontal treatments heavily outweigh the benefits they present. Looking forward to improving your smile? Dr. Larson and his team invite you to schedule a consultation. You are in good hands with us. Our team is highly trained and has had many years of creating beautiful smiles in the community. Extracting a tooth or two for an orthodontic treatment is a sensitive subject. Therefore, it must be understood that removing a healthy tooth is the last thing that any orthodontist would like to do. When confronted with situations where removing a tooth is under consideration, our staff takes every precaution to make sure if there is an alternative option available. We pour over case studies, models, images, and digital x-rays to verify if the extraction is truly necessary. At Yuba City Orthodontics, we have had patients who decided that an extraction was the best option available and they have had wonderful results. But what are some of the circumstances that require an extraction before orthodontic treatment? Will such an extraction affect the patient’s look? You can find the answers to these and other questions patients ask us about extractions before orthodontic treatment below. Q: Why do I need an extraction before proceeding with my braces? A: In cases where asymmetries, biting issues, intense crowding, or protrusions exist, extractions are considered as an option. Sometimes there simply isn’t enough room in your mouth to justify keeping a badly unaligned tooth. If we recommend an extraction, it is because it will be the most effective solution for your orthodontic treatment. Q: Will a frontal tooth extraction ruin my smile or overall look? A: In most cases, such an extraction will improve your smile and overall facial profile. Dr. Larson has never had a patient who was unsatisfied with their smile and facial profile after an extraction. Because of modern dental technology, dentists can evaluate how your smile and profile will be affected before an extraction. Q: I heard you should always avoid tooth extractions, is that true? A: Generally speaking, you should avoid losing teeth if at all possible. However, going by the rule in all situations could do more harm that be of help. Do you still have questions or concerns? 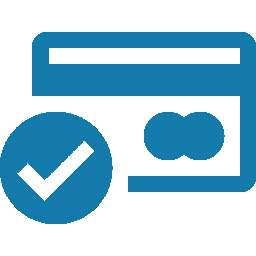 Give us call so that we can schedule you for a comprehensive evaluation. During this exam when can identify your dental circumstances and furnish you with accurate information. As the year’s end approaches so does your ability to use the remaining part of your flexible spending account (FSA) balance. Since FSA balances are a ‘use it or lose it’ commodity, we encourage families to make the most of it before December 31. If you or any in your family need braces, this will be an excellent way to allocate those funds. Secondly, while open enrollment for health and dental care is available, you can plan what will be required for the next year a bit more accurately. After you come into our office, you can speak with our financial team who can supply you with the exact costs. Do you need help with an FSA or health savings account (HAS)? 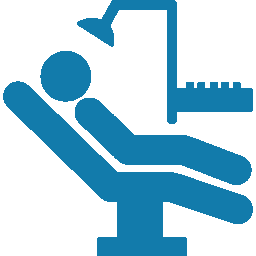 Although FSAs/HSAs are more commonplace, they still can be a handful to understand. Our financial staff is happy to assist you with making a wise decision as to how these could work to your advantage. Yuba City Orthodontics encourages everyone who needs to have braces to consider them before the year ends! Halloween, Thanksgiving, and December holidays can make it difficult to keep your braces clean. Yet, as your dentist has informed you, keeping your teeth clean when you have braces is doubly important. Dirty braces can easily result in cavities, bad breath, irritated gums, and discolored teeth. To avoid this Yuba City Orthodontics recommends the following tips to aid you in your endeavor to maintain healthy braces during the holidays. Take Your Time. Trying to rush through the cleaning process is one the most common mistakes to make. Instead, clean one tooth at a time. 10 to 15 seconds of individual brushing per tooth is recommended. Also, pay close attention the connection sites of the braces. Angle Correctly. Brush the top of braces with the bristles of your toothbrush angled down. Do the opposite for the bottom of braces. If you remember this simple technique, you’ll be able to clean your braces more effectively. Clean Everything. Although it may seem logical to only give attention to the areas near your braces, this thinking is incorrect. Plaque can travel, so it is best to clean the tongue, gum line, and all surface area of each teeth. Eat Then Clean. Brushing after you eat as soon as possible is one of the best ways to keep you braces clean. Food has the propensity to get stuck in braces and in between teeth. When food rests for lengthy periods on teeth, more plaque forms. If you find that you are somewhere where you cannot, rinse your mouth out with water thoroughly to minimize damage. If you know that you will be away from home for some time, carry a toothbrush, floss, and toothpaste with you. Try to find a good case for all your tooth cleaning utensils. Keeping your braces clean during the winter holidays can be challenging. But remember if you take the challenge head on and stay consistent with your cleaning, you can be successful. If you happen to need any adjustments or cleanings, feel free to call the team at Yuba City Orthodontics at (530) 674-5047. Do you or your child engage in an active sport? If so, you should recognize the inherent dangers of that are present in certain styles of sporting activities. The team at Yuba City Orthodontics has seen the damage that can occur when patients have not used proper mouth protection. We have seen cases where the front teeth have been displaced in activities such as basketball, ice skating, and go-cart racing. Hence, we always encourage athletes of all ages to protect their smile. Perhaps the best ways to this is by using a mouth guard. If you need a mouth guard, schedule an appointment with us by calling (530) 674-5047. We can construct a custom fitted mouth guard that is congruent with your oral needs and sporting interest. If you are skeptical about the need for a sports mouth guard, consider some of the facts and statistics below. As aforementioned, we’ve seen the other side of the decision not to use a mouth guard. However here are some interesting facts and stats that support the rationale for protecting your teeth while engaging in a sport. Reports from the ADA (American Dental Association) and the AAPD (American Academy of Pediatric Dentistry show that approximately 30% percent of all sports injuries involve the mouth. According to the National Youth Sports Safety Foundation young athletes are about 60 times more prone to incur injuries to their teeth when they do not wear a mouth guard. Dental trauma resulting from sports is often painful, uncomfortable to fix, and typically cost thousands to rectify. Hence, simply wearing a mouth guard can prevent a host of painful and expensive dental problems. 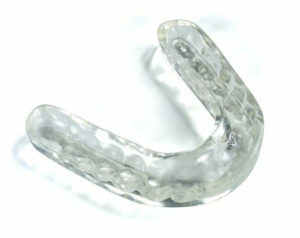 A mouth guard does not have to be a cumbersome piece that obstructs your breathing and speech. Contact us today to schedule an appointment for a customized mouth guard. When you think of investments, do you think of your smile? Few people do. Healthy teeth are an investment that continually pays dividends. A healthy smile boosts confidence, improves relationships, and at times improves career opportunities. Maintaining a great smile often begins with a visit with a dental professional. During that initial visit, a consultation takes place so that your level of oral health can be assessed. 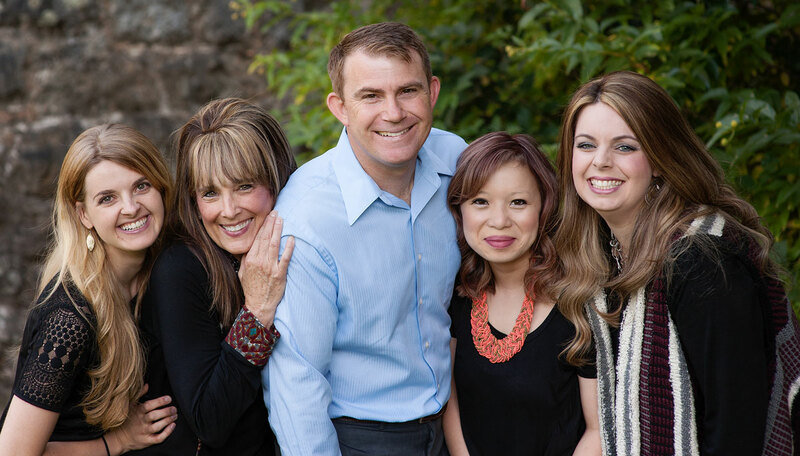 The dental team at Yuba City Orthodontics offers thorough orthodontic consultations. What Is An Orthodontic Consultation? General dentists provide oral exams. However, orthodontic consultations specialize in the proper alignment of your teeth and jaw. Understanding the above is critical if you have crowded teeth, gaps, an overbite or under-bite. An orthodontic consultation will help you understand how your teeth are functioning. 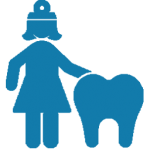 This initial consultation will, at the very least, arm you with specific details about your oral health. We feel that having a complete picture of how your teeth are functioning puts you in the best position to make informed decisions about treatment. Having a complimentary orthodontic consultation at Yuba City Orthodontics is a win-win! As the seasons change so does your diet. In fact, as the heat increases so does your appetite for certain foods. However, when you have braces you have to choose your foods carefully. Yet, being conscientious about caring for your braces does not mean that you do not have a variety of delicious meals that you can eat. At Yuba City Orthodontics, we provide patients with highly effective braces but we also give them healthy (and flavorful) meal options. Here are a few that are useful during the summer. Just because you have braces doesn’t mean you should skip the most important meal of the day. If you are thinking that your breakfast has to be bland, think again! Check out this mouth-watering French toast recipe that will not damage your braces. 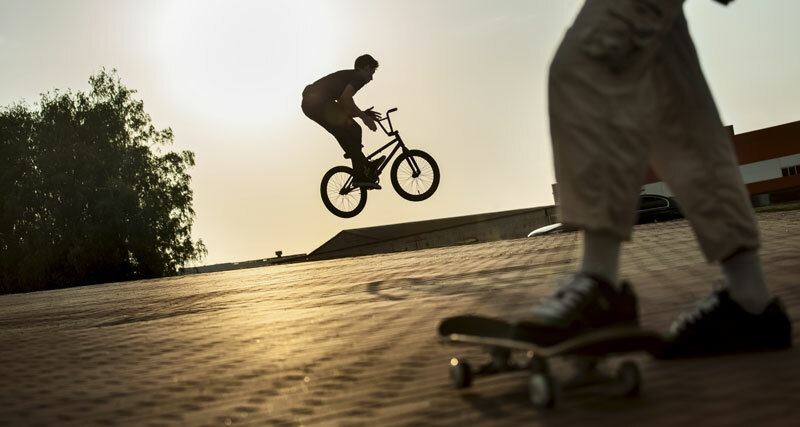 Summer activities can drain your energy; especially if you lead an active lifestyle. However, you’ll likely not want something that will weigh you down. So why not try these pair of lunch recipes that are easy to fix, healthy and can be packed away if you are on the go. One meal that many of our braces patients say that they wish to have more variety with is dinner. How about you? If you are desiring a more fulfilling dinner that will not have you scheduling a dental cleaning, try this fish taco recipe. Who doesn’t like dessert?! If you are in the mood for ice cream, try this homemade recipe that is so easy a child could make it. Literally…it is that easy. How often do you crave something in between meals? Yet, some candies, drinks and other quick snacks can and will make your braces a nightmare to clean. Here is a smooth summer snack that can satisfy your mid-meal desires without giving you any uneasiness about damaging your teeth. Eating braces friendly foods is a major aspect of keeping your teeth healthy during the process. The Yuba City Orthodontics team can help you to identify a variety of foods that are not harmful to your braces. Periodically we will post various seasonally recipes that are braces friendly. Enjoy your summer!